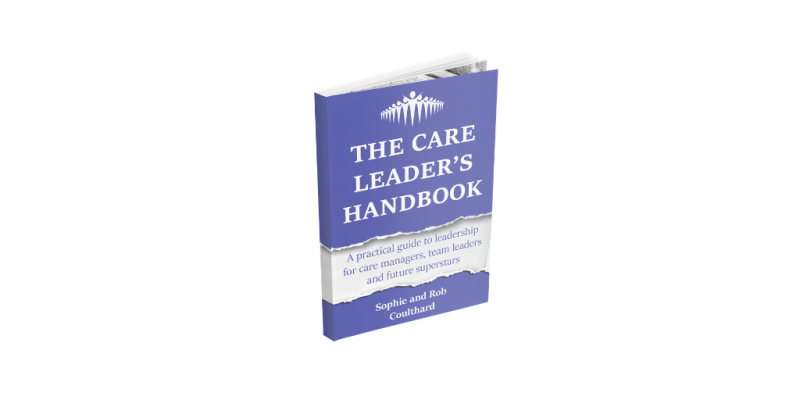 We’ve been very busy over the last few months writing our first book; The Care Leader’s Handbook, which will be a practical guide to care leadership for manager, aspiring leaders and potential superstars. We’ve always been conscious that not every care company has access to funding to bring in external trainers, and so we wanted to write a book that backs up everything we teach on our Leadership Academies, but make it accessible to anyone in care. Whether you are a manager already or aspiring to lead there will be something for you. We’ve taken best practice from a variety of environments and applied it to a care setting, and everything in the book will be something you can take into work and practice in real life scenarios. Great leaders are not born; they are nurtured, but you may feel like you’re having to find your feet on your own and work it out for yourself. We see many people promoted to leadership positions within care and never given any formal leadership training. This book will support you through typical situations you will face as a leader and give you tools to help you lead effectively and confidently. The book is divided into sections on self-leadership, leading others and leading the culture. It’s then broken down into bite sized chapters and designed to be something you can pick up and jump to the section you need. The book will also contain lots of practical exercises you can go and do, either by yourself or with your team. We’ve considered how you might evidence these exercises for CQC and will be sharing quotes from care leaders who have tried them out first hand. We know a lot of leadership books and training books can contain jargon, so we’ve been conscious to write in plain English and make the book fun as well as informative. We are also providing some videos and downloadable resources that you can access through the website, to make it easier to bring everything to life and share with your team. We will be holding a FREE workshop in the summer for 20 lucky care leaders or aspiring leaders. Anyone who signs up to our mailing list for the book will be entered to win a place and we will be announcing the winners after the book is launched. The workshop will be hosted by Rob and Sophie and will be held at a beautiful central location. We will take a few of the key modules from the book and bring them to life for a day of practical learning and fun! To enter to win a place on the workshop and hear more about when the book will be released click here. We are nearly finished! We are planning on launching the book at The Residential and Home Care Show, part of the Health Plus Care Show at the Excel in London, on the 26th and 27th June. We will be speaking on both days and books will be available to purchase on the day and on Amazon.